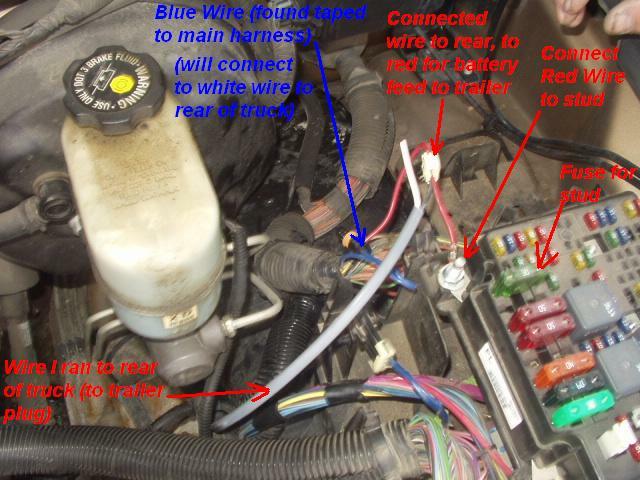 Connect the red Wire to the Stud on your fuse box, you will have to buy a metric nut, not sure of the size, to bolt it to the stud, and put a fuse in the slot that powers the stud (30 amp). 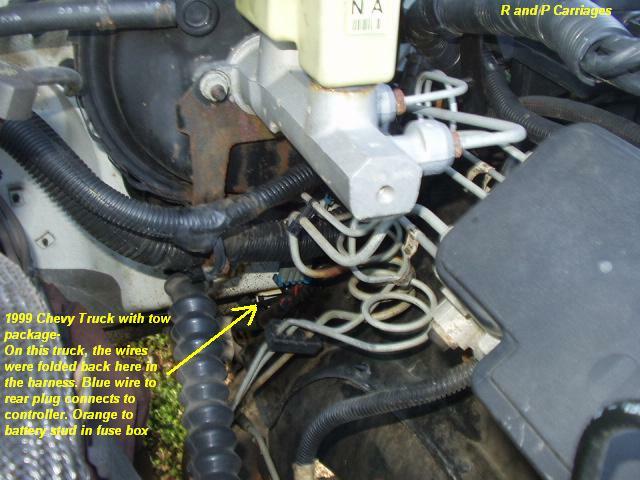 In addition, attach a second wire to the stud, long enough to go through the firewall and reach the brake controller. The will Provide the 12 volt power for your brake controller. You will hook this wire to the Black wire on the Tekonsha Control. MOST (not all) GM truck will provide a terminal in the box under the dash that provides the brake light signal (It lights up a test light when you step on the brake pedal). Using a test light, find that terminal, and confirm it does not flash with the turn signals. With a standard spade connector, hook the red wire from the Tekonsha Controller to the connection.